On Sept. 6, 2017, the Colorado Department of Public Safety will host its inaugural Director's Awards, which celebrate outstanding service, character and accomplishments of members throughout the department. The awards were created to recognize and honor the individuals and teams who exemplify our vision and values and who live the CDPS mission on a daily basis. Executive Director Stan Hilkey will present awards that highlight those who shine through their leadership as well as those who pave the way for our collective success by getting “stuff” done. We have included an award that reflects the critical role that having an engaged workforce plays in our mission. The “Ride for the Brand” award represents engagement in action, with a nod to our Western heritage: those who truly believe in the vision will go to great lengths to poignantly bring that vision to reality. The Innovation award recognizes our commitment to continually improving to be more efficient and more effective. And finally, public service is at the heart of everything we do at CDPS; the Superior Service award recognizes efforts that go above and beyond. Below is a brief summary of each award winner. To read their full stories, read the Director's Awards Program. Melissa Lineberger is the Director of the Center of Excellence for Advanced Technology Aerial Firefighting (CoE) within the Division of Fire Prevention and Control. She leads a small team charged with researching, testing, innovating and reporting on a variety of technologies. They also partner with and educate with various community agencies. According to her nominators, Melissa is an “amazing encourager, who shines with her positive, can-do attitude. She is always friendly, while also pushing us to be our best.” Melissa deftly balances effective delegation with an open-door availability that enables her staff to feel empowered and autonomous as well as supported. She fosters an environment of positivity, gratitude, creativity, collaboration and mutual respect. Melissa encourages and pushes her team to excel in everything they do, from launching new projects to helping fire departments when they are in need. She encourages the personal and professional growth of her team. 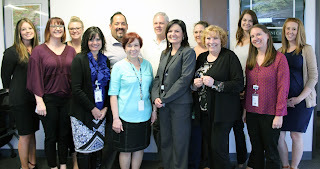 Her staff feel challenged by their work and appreciated for their efforts. Jesse Sloan’s leadership has literally saved lives. As a an Engine Captain with DFPC, Jesse must effectively lead, support and interact with firefighters from various agencies with a wide range of experience. He may find himself mentoring firefighters whom he has never met before, and he must approach the task with tact— all while operating under the intense pressure and long hours that accompany wildland firefighting. Stories submitted by his nominators illustrate Jesse’s outstanding leadership style. In one case, Jesse spotted an isolated and inexperienced crew new to wildland firefighting. He took the crew under his team's wings and, over the next two weeks, he and his more experienced team worked side by side with the green crew to mentor and train them. “Not only did the Engine captain of that lone engine get something out of Jesse helping them, but that whole crew did. They were able to go back to the volunteer department that they came from and share the knowledge and tactics passed down from Jesse,” said Assistant Engine Capt. Josh Mosher. On a different fire, Jesse identified and corrected safety concerns among a team of firefighters. He did so in a non-threatening, non-judgmental way. His training was so effective that, when he came across the crew later, the firefighters were successfully using the exact techniques Jesse had shown them earlier in the day. In another instance, an individual firefighter wrote: “Being brand new to the wildland side of firefighting, I did not know what to expect this summer. 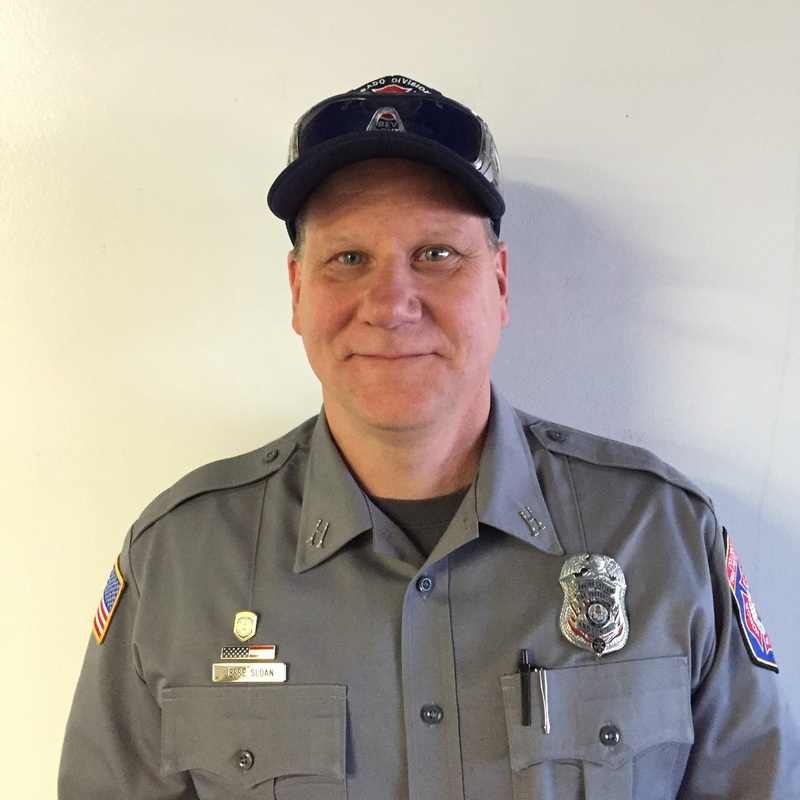 Arriving on the first day for my first shift, I had a nervous feeling that I did not have much to offer the crew and felt I would be more of a hinderance than an asset to the crew.” However, Jesse quickly alleviated his anxiety by training, coaching and mentoring the firefighter. “From that moment on I have trusted Jesse with my life,” he said. Adrienne Loye is a Program Manager within the Logistics Services Section of the Executive Director’s Office. In the past year, Adrienne has managed and coordinated 14 construction or renovation projects worth more than $445,000. One of these was the remodel of the 4th floor of 700 Kipling, a complex project with tight deadlines. Despite these challenges, Adrienne completed the project on time and within budget. Whether it was upgrading the access-card security system, re-working a conference room to make space for additional staff, or addressing facility maintenance issues, Adrienne has taken on challenges with patience, composure, creativity and a focus on customer service. For example, the 4th floor remodel required managing a construction project with extremely short deadlines while simultaneously orchestrating the temporary move of dozens of staff —and all of the contents of their offices—into and out of a temporary leased space. She built relationships, expertly communicated throughout the entire process, and developed solutions for every changing requirement. 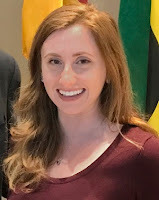 Lindsey Shaw is a Risk Analyst within the Division of Homeland Security and Emergency Management. In 2017, Lindsey lead the roll-out of a new the tool that the State of Colorado is using statewide to alert employees of emergency situations. This was no small effort – in fact, it was so important that its successful rollout was selected as a “wildly important goal” for both the Division and the Department. Director Hilkey committed to the Governor’s office to meet a Strategic Policy Initiative (SPI) goal of achieving implementation of the system across at least 75% of State Executive branch agencies by June 30, 2017. Lindsey achieved 94% implementation by June 30 and is on track for 100% implementation by the end of September. This project involved multiple facets including crafting policy, engaging stakeholders, delivering training, setting up the system, and providing technical assistance to each department’s point of contact. Lindsey listened to stakeholders’ concerns and applied her problem-solving skills to overcome barriers to participation in the program. In addition to carrying out their typical workload, last year the Office of Community Corrections (OCC) within the Division of Criminal Justice launched three new initiatives from the Commission on Criminal and Juvenile Justice. These new initiatives comprised the largest and most complex change in OCC history, with the potential for unprecedented reform of community corrections. Throughout 2016, the OCC worked to overhaul the entire body of its 125 standards for community corrections. This constituted the most comprehensive and research-informed revisions in the 40-year history of Community Corrections. The OCC also developed, validated, and launched a new evaluation tool that is supported by 422 studies on recidivism reduction and effective implementation. The third major new initiative launched by the OCC in 2016 was an intensive Cognitive Behavioral Treatment pilot project in Denver. This program transforms the typical community corrections program into an intensive therapeutic program for the high-risk, high-needs and criminally‐oriented population. The nationally unprecedented program synthesizes the most important research on offender risk reduction. Since there was no template for a Cognitive Behavioral Treatment pilot program, the OCC and its partners had to start from scratch. Finally, 2016 was a record-setting year for the OCC, as the audit team completed 19 audits compared to a normal annual average of 14. In addition to juggling regular duties and these three major initiatives, the OCC staff stepped up to maintain their momentum when their unit manager was absent due to serious illness. In October 2014, the Denver Joint Terrorism Task Force (JTTF) received information indicating three girls from Aurora were in transit to Syria to join ISIL. As a member of the JTTF, CBI Agent Larry Brown and fellow investigators responded and conducted a comprehensive investigation. The investigation prevented the girls from reaching Syria; the girls were intercepted by officials in Frankfurt and eventually returned to Colorado. After consulting with federal prosecutors, Agent Brown and the team determined existing federal statutes were ill-equipped to deal with the three juveniles. 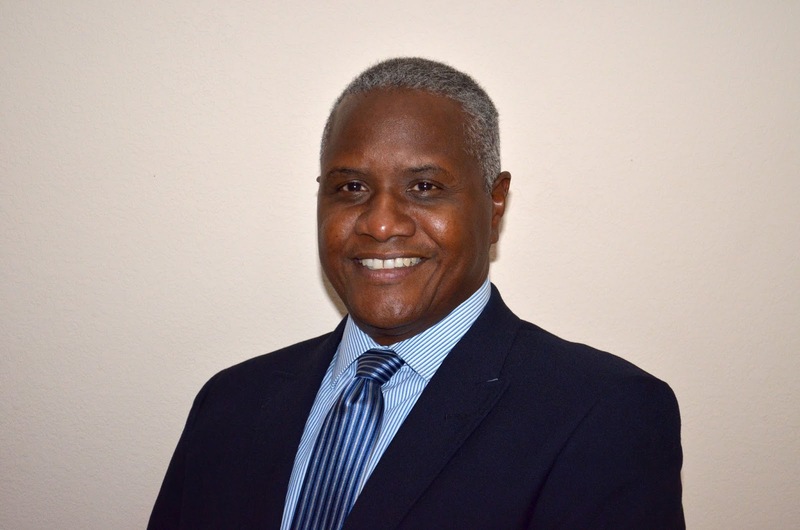 Using his experience in the state system, Agent Brown and other investigators worked with the District Attorney’s Office to develop a unique and innovative program that issued alternative penalties for the three teenage girls. This program was the first of its kind designed for juveniles attempting to support terrorist organizations. The purpose of the juvenile diversion plan was multi-fold: attempt to reform the juveniles from their support of ISIL; re-integrate the juveniles into school and their communities; and prevent recidivism of the juveniles. Agent Brown’s innovative solution led to increased cooperation between law enforcement and the Colorado Muslim community. The Executive Security Unit (ESU) consist of troopers, civilian security guards and a command center work force. The ESU provides 24-hour security at the State Capitol complex and for the Governor and First Family. At the Capitol and its surrounds, they are the face of public safety in one of our state’s most high-profile settings; whether safeguarding Legislators and visitors to the Capitol or supporting Denver Police in maintaining peace and safety during protests and events on the Capitol grounds, members of ESU must maintain a high level of vigilance while delivering flawless customer service in a courteous, efficient and professional manner. The task of guarding the Governor and First Family is a high-profile, 24-hour duty that involves travel, discretion and flexibility. Finally, the communications and command responsibilities of ESU affect a broad audience beyond the Capitol walls to include hundreds of State employees working in facilities near the Capitol. When threats, emergencies or disturbances arise in the vicinity, ESU members ensure that state employees, legislators and more are alerted, informed, and kept safe. The members of ESU embody CSP and CDPS values not just with the public they serve, but among their team as well. Recently, an ESU dispatcher became unexpectedly ill and thus transferred to Montrose to be closer to her parents. ESU members joined forces to help deliver her belongings from Denver to her new home, using their personal funds and vehicles, and even paying out of pocket to rent a U-haul. Magda is a victim advocate for the Colorado State Patrol, covering southern Colorado. She serves people when they are at their most vulnerable. 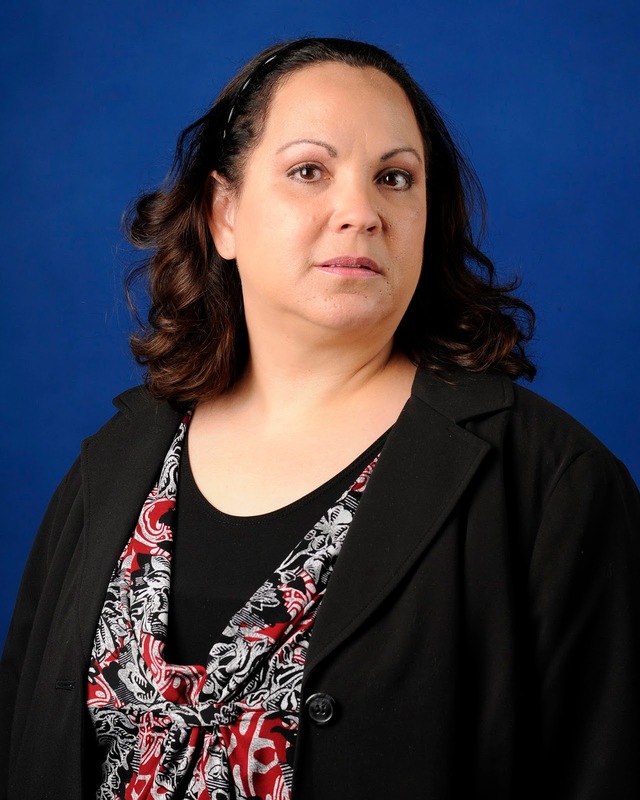 According to her peers, Magda goes above and beyond to assist victims of crashes. In addition to being caring and compassionate with victims and their families, she is very knowledgeable about the rights of victims and makes sure they are informed of court proceedings and outcomes. She assists Troopers with death notifications, which is one of the most difficult parts of the job. 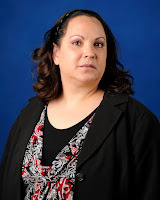 Magda is always available to answer questions and find help for families in need, and she often travels significant distances to bring her kindness and expertise to victims across the broad geographic area of southern Colorado. A recent incident in July 2017 is illustrative of Magda’s commitment to providing superior service. Magda was called to assist with Spanish interpretation for a family whose vehicle was hit in Huerfano County. The family’s daughter was flown to Denver for treatment of a serious injury. The family was from Mexico, and their relatives in northern Colorado were unable to drive to Walsenburg to retrieve them. Magda drove from her home in El Paso County to Walsenburg to assist. She was able to get the family’s belongings from the tow company and helped them get a bus to Denver to be with their injured daughter. Magda could have simply provided interpretation, information, and some words of comfort to the family, but instead she provided problem-solving and assistance that greatly relieved the burden on a family that just suffered a traumatic experience. The Fleet Management Branch is responsible for every aspect of managing the Department’s 936-vehicle fleet, from developing the specs and ordering the vehicles to maintenance and disposal. 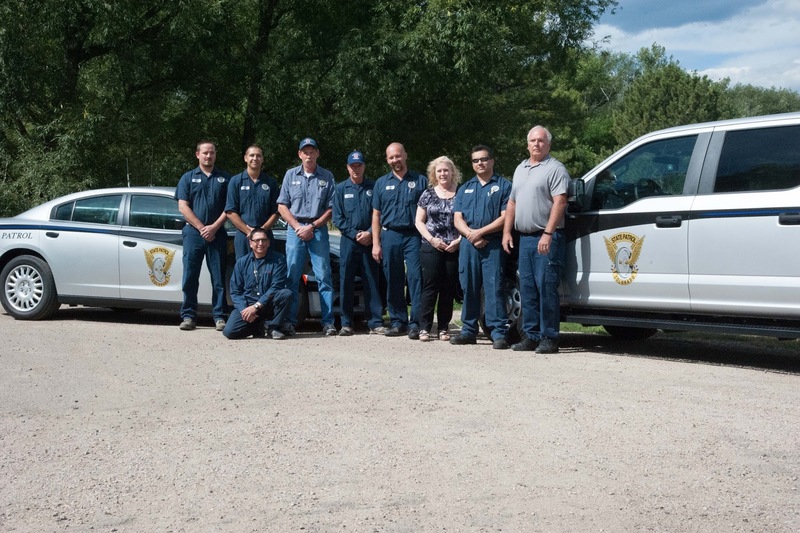 As crucial as special-purpose vehicles are to the public safety mission, the Fleet team has the great responsibility of producing the highest quality product for the CDPS members who are on the front lines on a daily basis. When you step into the garage at Camp George West, it’s apparent that this small team of 11 people takes pride in their work and is committed to providing an excellent customer experience. A lot can go wrong across the fleet when more than 18 million miles are driven annually, and when something does go wrong, this team is ready and willing to do everything it takes to complete a repair or quickly perform a service. 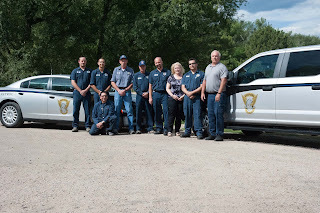 In addition to meeting the needs of CDPS, the Fleet team services more than 360 vehicles from other state agencies, donates more than $200,000 worth of used equipment to small county and city police agencies, and recycles over 5,000 lbs of scrap metal and wiring – ensuring the by-product of their work has a minimal impact on the environment. They never fail to produce the highest quality product and they never fail to treat each customer as if they are the most important person they are servicing. One of the principal core values of Logistics is “We do everything it takes to exceed our customer’s expectations.” This team strives every day to demonstrate these commitments, and in so doing they live the CDPS values of Unity, Honor and Service.